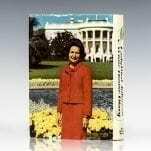 Lady Bird Johnson: A White House Diary. 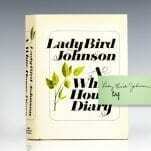 First edition of Lady Bird Johnson’s White House Diary. Octavo, original cloth, illustrated. Signed by both Lady Bird Johnson and Lyndon B. Johnson on the front free endpaper. Fine in a near fine dust jacket. Dust jacket design by Paul Bacon. Scarce signed by both Johnsons. 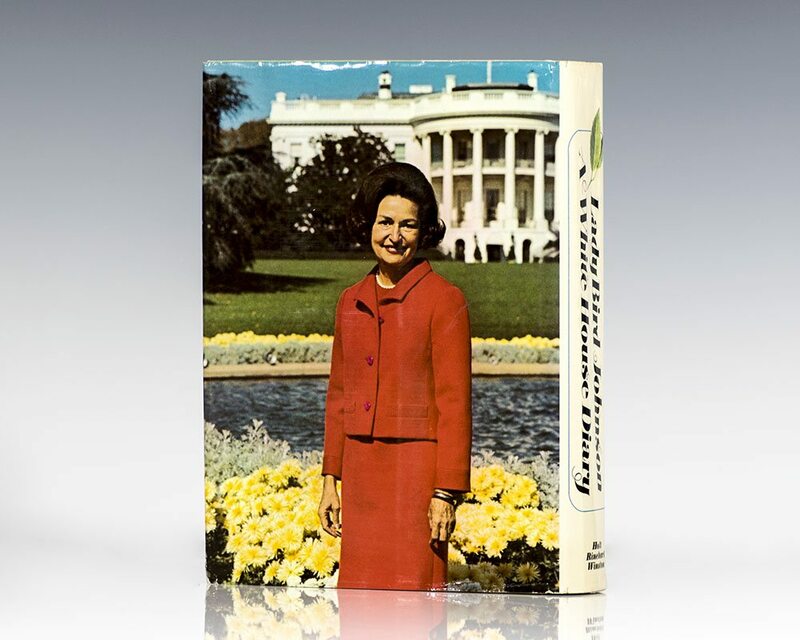 Originally published in 1970, A White House Diary is Lady Bird Johnson's intimate, behind-the-scenes account of Lyndon Johnson's presidency from November 22, 1963, to January 20, 1969. Beginning with the tragic assassination of John F. Kennedy, Mrs. Johnson records the momentous events of her times, including the Great Society's War on Poverty, the national civil rights and social protest movements, her own activism on behalf of the environment, and the Vietnam War. The White House: An Historic Guide. Washington, DC: White House Historical Association, 1964. 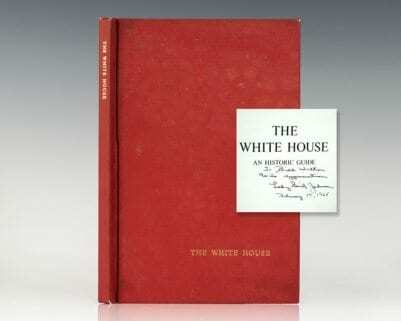 First edition of this wonderfully illustrated work on The White House. Octavo, original cloth, pictorial endpapers, illustrated. 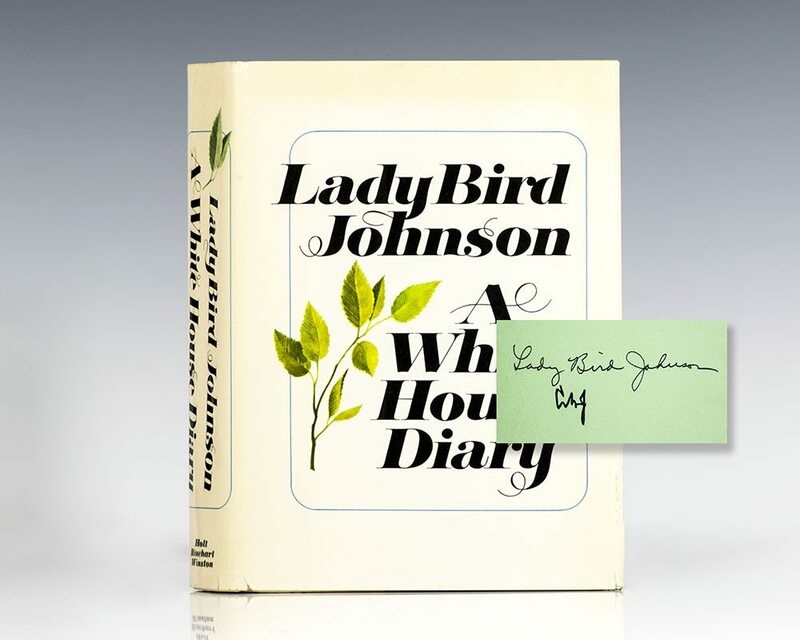 Inscribed by Lady Bird Johnson on the title page, “To Bill Walton with appreciation Lady Bird Johnson February 17, 1965.” The recipient William Walton was a painter and confidant of President John F. Kennedy and Jacqueline Kennedy, and chaired the U.S. Commission of Fine Arts from 1963 to 1971. In near fine condition. A nice association.